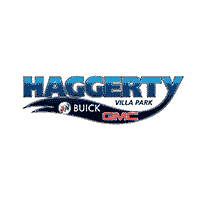 Why choose Haggerty Buick GMC? Family owned and operated since opening our doors in 1975. Recipient of numerous Mark of Excellence awards determined by General Motors. Consistent sponsor of local schools, organizations and charities throughout the Chicagoland area. Complimentary shuttle service while our ASE Certified technicians repair your vehicle.